We have helped Veterans buy homes in Orange County for over 20 years. The VA loan program is the best loan program available, with 100% financing up to $726,525, and options for low down payments up to price of $2,000,000. But it is a unique loan program, often misunderstood by agents, lenders, and sellers. Our goal is to help Veterans buy a home using their VA benefit, making the whole process as easy as possible. Theresa has been an active real estate agent in South Orange County for 20 years & has been a Broker Associate for the last four years. She holds her Bachelor’s of Science Degree in Business Administration/Marketing & a Certification in Interior Design. She has been involved at the local Real Estate Board, Orange County Association of Realtors (OCAR), for many years. Theresa served as co-chairman of the MLS Committee for two years & as a member of the committee for four years. She also is the current instructor at OCAR of the course “Listing Photography & Marketing for Agents” & has taught this class for the last 6 years. Theresa has also been involved in many different outreach programs for the military families & men at Camp Pendleton throughout the years, including Christmas parties, care packages, new mother packages, barrack spruce up & gift card programs. She enjoys working with the military families & recently her son has joined the ranks. 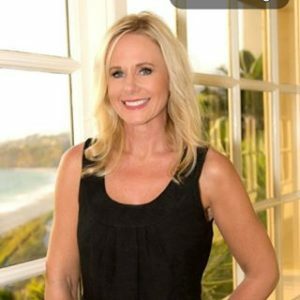 Theresa was raised in Laguna Niguel & as a single mother has raised her own three children in beautiful Laguna Niguel as well. She has a son who is an active member of the military, serving as a U.S. Marine. Her oldest daughter has graduated from SDSU with a B.S in Business Administration & is currently working in Barcelona, Spain. Her youngest daughter is attending Cal State San Marcos & working locally. Theresa loves the beach, likes to SUP, travel & spend time with her kids & her dogs in her free time. Tim Storm, a Branch Manager with Fairway Independent Mortgage Corporation located in Orange County, CA, has been helping Veterans with their mortgages since 1989. Tim is a lifelong Orange County, CA resident and holds a Bachelor of Business Administration from the The University of San Diego. 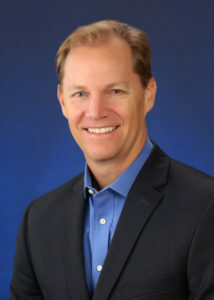 Tim also holds a Brokers license with CA Department of Real Estate, as well as being a Certified Mortgage Planning Specialist, a designation issued through the Certified Mortgage Planning Institute. Tim and his team make sure the home buyers they work with, especially First Time Home Buyers, are well informed of all the loan options available to them, especially in regards to the VA loan program. Fairway is a Direct VA Lender (Ginnie Mae Endorsed) This means we are able to secure very competitive VA loan pricing and have control of the loan process from start to finish. We will process, underwrite, fund, and service your VA loan. This includes the VA IRRRL (Interest Rate Reduction Loan). We also fund FHA, Fannie Mae, Freddie Mac, and a few other types of loans in our office. What is Unique about using Tim for your VA Loan? If you are a Veteran and you have talked to other Loan Officers about the VA loan program you have probably found that it is hard to get a quick, straight answer. Most Loan Officers are lucky if they see one, two, or maybe four VA loans a year. I truly specialize in the VA loan program. I have closed VA loans since 1990, or for 28 years. Since 2008 VA lending has been over 75% of everything I do. By my side is my Loan Processor, Carol Simpson. Carol has worked with me for over 20 years. We will make the processing of your VA loan easy and stress-free. But most of all, I will be your resource to answer any VA loan related questions that you have. I will also prepare custom VA Loan Scenarios for you. The scenarios will give you a completed breakdown of the numbers, including the full payment, closing costs, prepaid expenses, etc. The biggest disconnect I run into when working with First Time Buyers is the difference between what the buyer thinks a mortgage payment will be for a given purchase price and what the actual payment will be. Working with me you will get the real numbers on Day 1. If you have any VA loan questions or would like to see custom VA loan scenarios along with a video explanation of the loan scenarios, please call 949-829-1846 or email me at tim.storm@FairwayMC.com. Why do you need to use a VA Buyer’s Agent Specialist like Theresa Smith to represent you? As you may have noticed, it is a competitive real estate market out there! Multiple offers are the norm. How is your offer going to stand out in a pile of offers? What if the listing agent doesn’t understand the VA loan process or has the “old rules” stuck in their mind? What if the seller is fearful of your loan or your low down payment? What if the home doesn’t appraise for the contract price? What are your options? Does the seller have to provide me with full termite clearance or can they just give me a credit? Can I close and do a rent back? Can I buy furniture from the seller and pay through escrow? There are these and so many other questions that come along with a VA purchase that are slightly different than a conventional loan, which makes the purchase contract & negotiation different as well. You need to have an experienced VA Buyers Agent representing you or prepare to become frustrated quickly. Not many agents are familiar with the VA programs and can potentially make mistakes on contracts, not know how to handle objections from list agent & sellers and just don’t have the experience or knowledge to represent you effectively. When presenting your offer, educating the other agent & the seller is the first step. Tim & Theresa have this down between the two of them. They have been successfully working as a team for over 10 years. They will guide you through this process from the beginning to a successful close of escrow! First step, contact Tim Storm to get prequalified. Second step, contact Theresa Smith to discuss your home search parameters. MOVE INTO YOUR BEAUTIFUL NEW CONDO!